Recycling can be so beautiful! 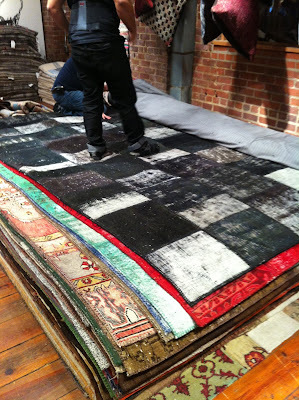 One thing we saw a lot of at Market a few weeks ago was the Turkish patchwork rug. These interesting rugs are hand-stitched together in Turkey using existing pieces of vintage Asian rugs. Some of these salvaged pieces are over 100 years old and come from countries such as Nepal, Pakistan, Armenia, Tibet and India. Once the pieces are collected and stitched together, the rug goes through an over-dye process to give it varying shades of a certain color tone. Although the rug becomes a monochromatic, each piece has a slightly different color and pattern, giving the rug variety and a unique characteristic. 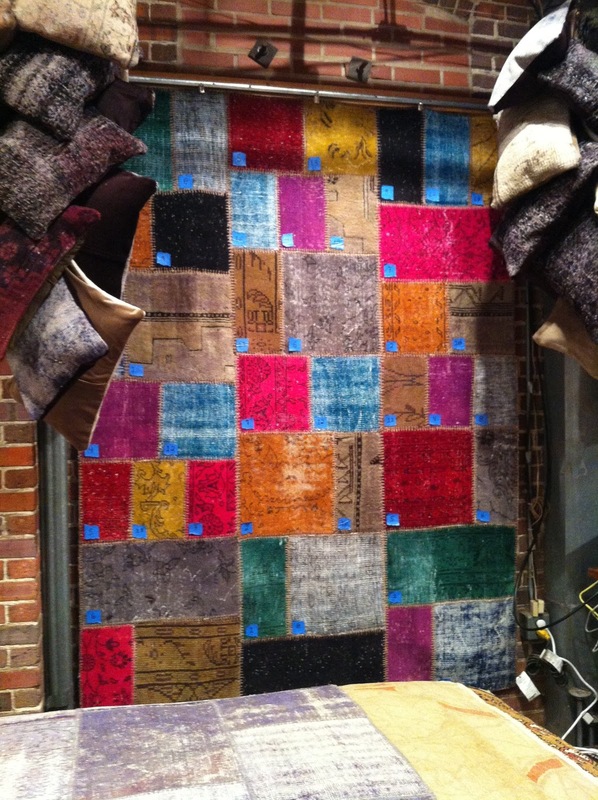 Not only are these rugs absolutely gorgeous, but they are also eco-friendly! This concept re-uses vintage pieces that would have otherwise gone to waste. Let us know if you’re interested in purchasing one of these beautiful pieces of art for your home! These rugs can be dyed any color you like! I am looking for a supplier of these rugs in South Africa. Can you help?